Words are hard to ignore. It is difficult to keep our mouths shut when we feel strongly about an issue and impossible to turn our ears off when we hear something unpleasant. Because of this, verbal communication has the power to set us back and push us forward in business. It’s more than just talking, that’s for sure. Verbal communication is using sounds and language to share information. While all types of communication can successfully relay information, delivering messages verbally holds the spot for being the most personal, most relevant to business, and the easiest to interpret. 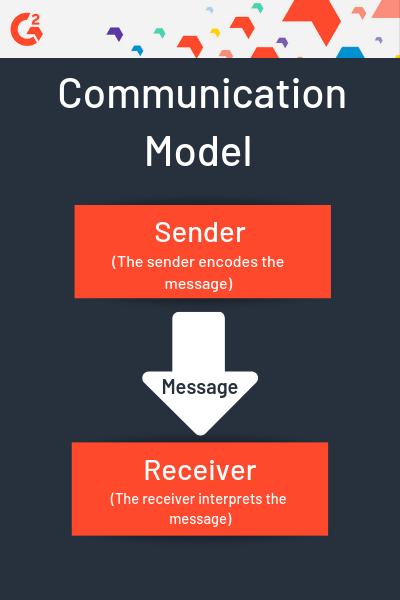 All types of communication involve a message traveling from a sender to a receiver. 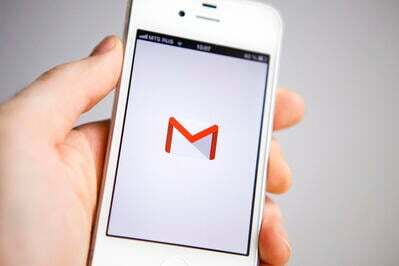 The sender has the information and then, using a communication channel, delivers it to the receiver. Verbal communication can be tricky as the time between sender and receiver is close to nothing. Forms of written communication can be left unread or mistakenly overlooked, but verbal communication leaves everything out on the table. No matter the industry you work in or the size of your business, verbal communication is a necessary skill. It’s thrown around every day with or without thought and if a response is needed it is expected immediately. Verbal communication occurs in a number of different situations in the workplace. Any interaction that involves two or more people, talking and listening is considered verbal communication. The heavy reliance on in-person meetings, phone calls, and video conferences in business, therefore, calls for its regular use. The different aspects of verbal communication are static, while the way they are executed is dynamic. This makes the combinations of types of messages endless and the proper interpretation of them even more important. Misunderstanding someone’s message or the parts of verbal communication used can lead to a foolish response or trusting unreliable information. Listed below are the four parts of verbal communication and why they matter to fully understanding or presenting a message. Preparation is the act of getting ready for a certain event. In verbal communication, the messages shared can be as rehearsed as a written acceptance speech at the Oscars, or as thoughtless as a vocal reaction to getting stung by a bee. In business, the amount you should prepare for a verbal interaction depends on a few things. Here are a couple of questions you should ask yourself before entering a situation where verbal communication will dominate. Consider your audience. If you are stopping by a colleague’s desk to clarify something, simply have your question ready. If you are addressing an entire team, you might want to have a quick list of topics ready to go. However, if you are meeting with your boss and wondering how to ask for a raise, you will want to prepare, and maybe even rehearse. Contemplate the subject at hand. The typical items discussed at a weekly meeting with your manager might come naturally and demand little to no readying. On the other hand, sensitive topics such as salary, promotions, and controversy in the workplace could require more preparation time. What needs to be accomplished by the end of the discussion? Set a goal for topics to cover. Unstructured verbal communication can lead to getting sidetracked. Even though unrelated conversations can break up more serious topics and act as a nice refresher, everybody’s time is valuable and shouldn’t be wasted. A prepared set of subject matters will help keep the meeting on track, and if time allows a brief mentioning of the new cappuccino machine in the kitchen, then so be it. While preparing can be a pain, it is a great way to be more efficient when communicating verbally. Word choice is exactly what it sounds like: the choice of words. Spending extra time considering the communication process might seem silly. Most of the time when speaking we don’t give a single thought to the words we use. They just sort of spill out. However, communication theory shows us that the process of speaking actually has a lot to it. In business, diving a little deeper into the process of communication is worth your time, especially with word choice. First, and most importantly, the audience must be considered. If your use of verbal communication is to onboard entry-level employees, it might help to either tone down the complicated industry terms or take an extra second to explain what they mean. On the other hand, when speaking with veterans, there’s no need to waste their time with definitions. Word choice is also situational. 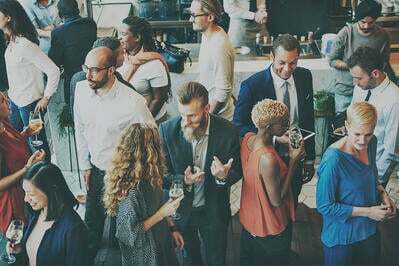 When a certain event calls for interaction using verbal communication, the words chosen will give the message receivers an understanding of how they should interpret the message. Some words are more positive and forgiving while others are negative and distribute blame. This is known as the word’s connotation. Let’s look at an example. Say you are about to confront your boss about ordering a new printer. She continuously claims they are overpriced and the current printer works perfectly fine. Because you disagree, you decide to fight her a little harder on it this time. Consider the following options. The sentences above technically mean the same thing: your boss is economical and careful with money. However, frugal has a much more positive connotation than cheap, completely changing the interpretation. Since your goal was to butter up your boss to score a new printer, the latter might be your best bet. Even though words tend to leave our mouths without much thought, there are times when it is worth the extra effort to choose the right ones when using verbal communication. In verbal communication, the tone is known as the attitude behind the words. Properly interpreting someone’s tone is equally as important as understanding the words they say. One of the most significant factors of a message’s tone is the emphasis. The content of a sentence or phrase can remain completely unchanged, but if the emphasis moves from one word to another, something different can be implied. Here is a quick example of how emphasis can adjust the context. Consider these two sentences and place emphasis on the italicized words. Those statements have the exact same words. However, when the “I” is emphasized, it hints that even though you got your sales report done on time, maybe someone else didn’t. When the emphasis is placed on “sales,” it implies that even though their sales report was finished on time, maybe a different kind of report was late. Like the other parts of verbal communication, your audience and objective will determine your tone of voice. Speaking to a group of friends about your new favorite movie will have a much more relaxed tone than presenting your website traffic numbers to the CEO, which will be more professional. Remember to adopt the appropriate tone in a conversation. It is not rare for people to react more to a speaker’s tone than their actual words. Pay attention to the situation and adjust your tone accordingly. One of the beauties of verbal communication is the possibility of feedback. The receiver is not there just to absorb the message, but to enrich the conversation with questions, reworded phrases, and sometimes even criticism. To contribute relevant feedback, listening is necessary. Or even better, active listening. When the receiver factors in tone, emphasis and word choice to the overall meaning of the message, they are listening actively. It's no fun for anyone when a conversation is completely one-sided, so listen up and contribute. Verbal communication is crucial to the success of a business. Not only is it a key tool in presenting professional information, but office chit chat helps create an environment where people are comfortable and happy to work. Step up your verbal communication skills to create a productive and satisfied team. Want to take action and change the way your business communicates? Take it a step further and improve workplace communication with software.